In recent times all over the world there has been a revival of religious fundamentalism, bigotry and intolerance. In fact, the forces that sustain terrorism today are basically religious. Add to this the current crusade against reason that has been launched by some postmodernist thinkers. Reason is made to stand on the dock. It is portrayed as the worst enemy of mankind. Some writers, formerly known as Marxists of some sort, are now eager to come to a compromise with religion. They are finding new virtues in people’s faith in the benevolence of the Almighty and the solace such faith offers. Some try to draw our attention to the historical role that religion is supposed to have played in people’s struggles off and on. The consensus of the postmodernists and some lapsed Marxists appears to be this: tyranny of reason must not be allowed to continue. However, they do not offer any substitute for reason (since there is none). It means they are prepared to give a free rein to impulse and thoughtless action. Let us understand one thing. Who is a fanatic? A fanatic is one who refuses to be reasonable. He would rather cling to his faith than listen to any contrary view. Terrorism is nourished by fanaticism. Indiscriminate slaughter of helpless men, women, and children cannot be undertaken by a human being unless he or she is a fanatic. Human has been defined as a rational being. But rationality has to be cultivated, consciously and continuously. Although the seeds of rationality are sown in every human, without proper care and nurture the seeds cannot bear fruit. It is only by cultivating rationality that we can combat all expressions of fanaticism, both in our everyday life and in the society at large. Impulse needs no nurturing, rationality does. It will be rewarding to remember, at this juncture, how the ancient Greek dramatists understood and expressed the value of reason. I give below two passages from two plays by Sophocles and Euripides respectively. They lived in the fifth century BCE and learnt the value of reason through their own experience in war-torn Athens. Let it be remembered that they believed in the existence of the gods and considered reason to a gift from them to mankind. This was their way of suggesting how worth-revering reason is. 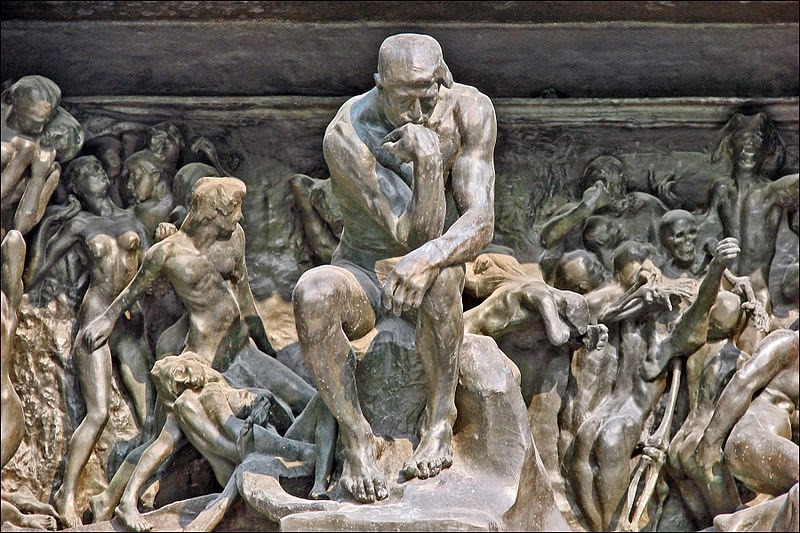 Why select dramatists rather than philosophers? The reason is this: philosophers, particularly the Presocratics in ancient Greece, did cultivate reason. That is only to be expected. It is necessary to know how far their own rational views had permeated among the masses, the citizens of Athens and other city-states. Greek plays were performed in an open- air amphitheatre. People from all walks of life thronged to see the plays staged. It will be interesting to note which kind of ideas were projected in the plays meant for their pleasure and profit. Reason, the choicest gift bestowed by heaven. The tongue, word-herald, to interpret speech..3. I do not mean that whatever these dramatists wrote is to be accepted as irrefutable truth. On the other hand, I suggest that we must use our reason to decide what is living and what is dead in their views. There is really no substitute for reason. In spite of their faith in gods, ancient Greeks understood it well. This verse should not be viewed as something exceptional in the Indian tradition. Admittedly, reverence of the Vedas has been widespread all over our ancient land. Even atheist philosophers belonging to the Sāṃkhya system of philosophy could not dare to challenge the overwhelming authority of the Vedas. Another school of philosophy, Mīmāṃsā, too, was avowedly atheistic. They did not believe in the physical existence of the gods mentioned in the Vedas themselves. Nevertheless they thought that the sacrificial rites produced results, if not in this life then in the next. The Mīmāṃsakas were acute logicians. They spared none in their criticism. Other orthodox schools of philosophy claiming to be Vedists were their chosen target of attack. Yet all their rationality was employed to establish the infallibility of the Vedas. In the ultimate analysis Mīmāṃsā was substituting or replacing blind faith in gods by an equally blind faith in a so-called ‘revealed’ text, not composed by any god or any human. This may very well be called an abuse of reason. Rationality in ancient India is more evident in the works of the heterodox schools: the Jains, the Buddhists, and the Cārvākas. Unlike other philosophical schools, they refused to believe in the halo round the word, veda. This was no mean achievement in the Indian context. These three schools together were called nāstika, negativist, by Brahminical orthodoxy. The reason is that they said ‘no’ to the supposed authority of the Veda as one of the valid means of knowledge. It is interesting to note that the Buddhists and the Jains too used to describe the Cārvāka or any other materialist school as nāstika. The word in this context is, however, used in a different sense. The materialists were condemned as negativists because they did not believe in the after-world, paraloka. In spite of being atheists and non-believers in the Vedas, the Jains and the Buddhists could not get rid of the concepts of rebirth and the other-world, punarjanma and paraloka. The materialists did not believe in any of these. Therefore, they were nāstikas in both senses of the term. In the whole of Indian tradition the materialists alone were uncompromising rationalists. Their works are unfortunately lost. But their opponents have quoted or paraphrased their views in course of refuting them. I shall now cite some instances to show what the materialists are accused of. Apparently the materialist also understands that mere logic-chopping leads nowhere. Reason should not be abused in hair-splitting and unnecessary controversy. The target is the Vedas, the ultimate word or verbal testimony (āptavākya, āptavāda). The second verse challenges the independent status of verbal testimony as a valid means of knowledge. No verbal testimony is acceptable unless it is reasonable and based on perceptible evidence. This is not to deny the validity of verbal testimony as such but to warn people against accepting verbal testimony uncritically. The context of this significant observation is the question: Which śāstra (scripture, authoritative work), Arthaśāstra (science of polity), Dharmaśāstra (canonical law book), and Nyāyaśāstra (logic), is to be given priority over others? The answer is as expected: Dharmaśāstra. At the same time Bṛhaspati cautions that Nyāyaśāstra should not be transgressed (verse 112) and admits that śāstra alone is not enough; any consideration or judgment devoid of reason will harm dharma (merit) itself. Here too the voice of reason is clearly audible. A proposition endowed with reason is to be accepted whether it comes from a child or a śuka (parrot). A proposition devoid of reason is to be rejected whether it comes from an old man or Śuka himself (Śuka, son of Vyāsa, who was the legendary compiler of the Mahābhārata and eighteen Purāṇa-s, was reputed to be a very wise man). raveraviṣayaṃ vastu kiṃ na dīpaḥ prakāśayet || Acharya (ed. ), p.159. Whatever is rational is to be accepted by the wise even if it comes from a child. Does the lamp not reveal an object which is beyond the reach of the sun? 1 Lines 683-87, p. 307. 2 Lines 720-23, p. 369. 4 There is Dodds’s book-length study on this theme. 6 Mumumkṣu-vyavahāra-prakaraṇa, 18.3. See also Appendix A. 7 Śrīharṣa, Naiṣadhacarita, 17.51. Trans. p. 250. 8 Ibid., 17.79. Trans. p. 254. 9 Viṣṇupurāṇa, 3.18.25 (Kalikata ed. ), 3.18.26 (Bareli ed.). I have preferred the emendation proposed by Śrīdhara (ceṣyate in place of neṣyate in the text, 25b). See Kalikata ed., p.109. Trans. (modified to make it more literal), p. 271. 10 Ibid., 3.18. 30 (Kalikata ed. ), 3.18. 31 (Bareli ed.). Trans., p. 272. 11 Verse 114, p. 19. Barnes, Jonathon. The Presocratic Philosophers. London and New York: Routledge and Kegan Paul, 1986. Bṛhaspatismṛti (Reconstructed). K. V. Rangaswami Aiyangar. Baroda: Oriental Institute, 1941. Trans. Julius Jolly in The Minor Law-books. Part I. Sacred Books of the East 33. Delhi: Motilal Banarsidass, 1977 (Reprint). Dodds, E. R. The Greeks and the Irrational. Berkley and Los Angeles: The University of California Press, 1951. Euripides. Vol. III. Ed. and trans. Arthur S. Way. London: William Heinemann (Loeb Classical Library), 1962. Garbe, Richard. The Philosophy of Ancient India. Chicago: The Open Court Publishing Company, 1899 (second ed.). Parab, Kashinath Pandurang (ed.). Śrīsubhāṣitaratnabhāṇḍāgāraṃ. Revised by Wasudev Laxman Panashikar. Delhi: Eastern Book Links, 1991. Sophocles. Vol. I. Ed. and trans. F. Storr. London: William Heinemann (Loeb Classical Library), 1962. Śrīharṣa. Naiṣadhacarita. Ed. M. M. Pandit Sivadatta. Revised by Wāsudev Laxmaṇ Śāstri Panśikar. Bombay: Nirnay Sagar Press, 1928 (sixth ed.).Trans. Krishna Kanta Handiqui. Poona: Deccan College, Postgraduate Research Institute, 1956 (2nd ed). Viṣṇupurāṇam. Kalikata: [Vangavasi], 1294 Bengali san (1887-88 CE);ed. Sriram Sarma Acharya. Bareli: Samskrita Sansthan (U.P. ), 1967. Trans. H. H. Wilson, Calcutta: Punthi Pustak, 1961 (reprint). Yogavāsisṭhaḥ (Rāmāyaṇa). Ed. and trans. into Hindi by Mahaprabhulal Goswami. Varanasi: Tara Book Agency, 1988.